He is having huge experience in Consulting. He has worked in 4 implementation Projects and few support, rollout Projects. He has done certification in SAP MM. He is having good experience as a certified Trainer. 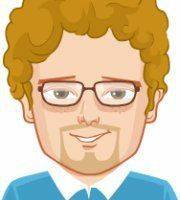 With his excellent Communication skills, he can explain every aspect of SAP MM very efficiently. It's been a good experience with Aspire...All the trainers are supportive. Very good labs and training rooms with the environment. Simply best at pimple saudagar and jagtap diary..
best in mm training near jagtap dairy and pimple saudagar.. In an enterprise, it needs materials for production and SAP MM (Material Management) module deals with that. It takes care that there will not be the shortage of materials in an enterprise. The process is called "procurement process" which means buying material from vendors. SAP MM module speeds up the procurement by dealing with the different aspects of the process like Material & Vendor Master Data, Account Determination & Valuation of Material, Inventory Management, Invoice Verification, Material Requirement Planning etc. SAP MM module also can be integrated with other modules like FI, PP, PM etc. If you have basic knowledge of ERP and want to understand the supply chain management system then you can choose this course. Here at Aspire Techsoft Pvt. Ltd., your Aspiration of becoming SAP MM consultant can come true. We offer a great course of SAP MM module and also you can have “hands-on” the SAP tools. It will help you to understand how an enterprise deals with their vendors & material management process. 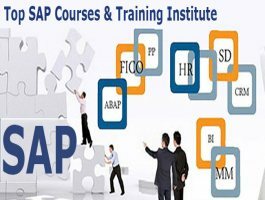 Come, join us for the course and be a part of one of the best SAP MM training and placement institute in Pune. At Aspire Techsoft Pvt. Ltd. we have best faculties who are expert in this area and ready to make you an expert too, we have excellent and well-equipped labs and good placement assistance in Pune. this mm training is very best . SAP MM learning experience was good.. doubts were cleared on the spot.